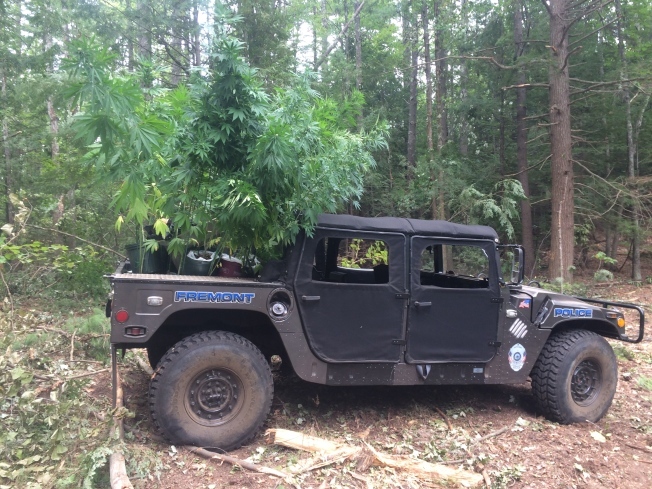 Police responding to an anonymous tip seized more than 30 marijuana plants worth around $80,000 last week. The plants were discovered on Aug. 31 in a heavily wooded area off Moose Meadow Drive in Fremont, New Hampshire - not far from the Raymond town line. No arrests have been made, as police are still seeking additional information. Police told the Union Leader that they have interviewed the property owner, but don't believe he was involved. Anyone with information can call Fremont Police at 603-895-2229.